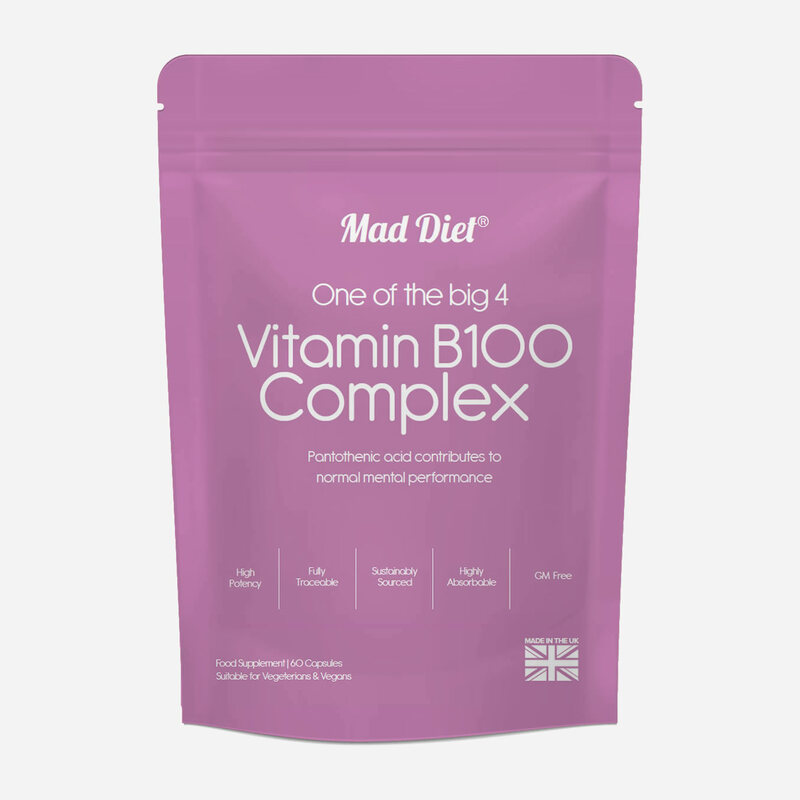 Our Vitamin B100 supplements contain 100mg of each B vitamin for optimal psychological function. 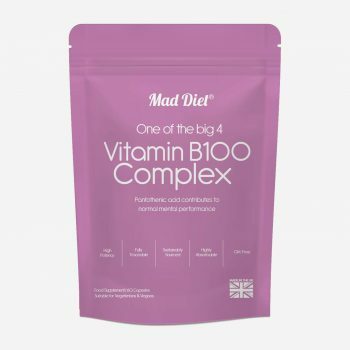 Produced to exacting standards in a GMP certified facility in the UK you can be assured of the highest quality with methylcobalamin the natural form of B12. 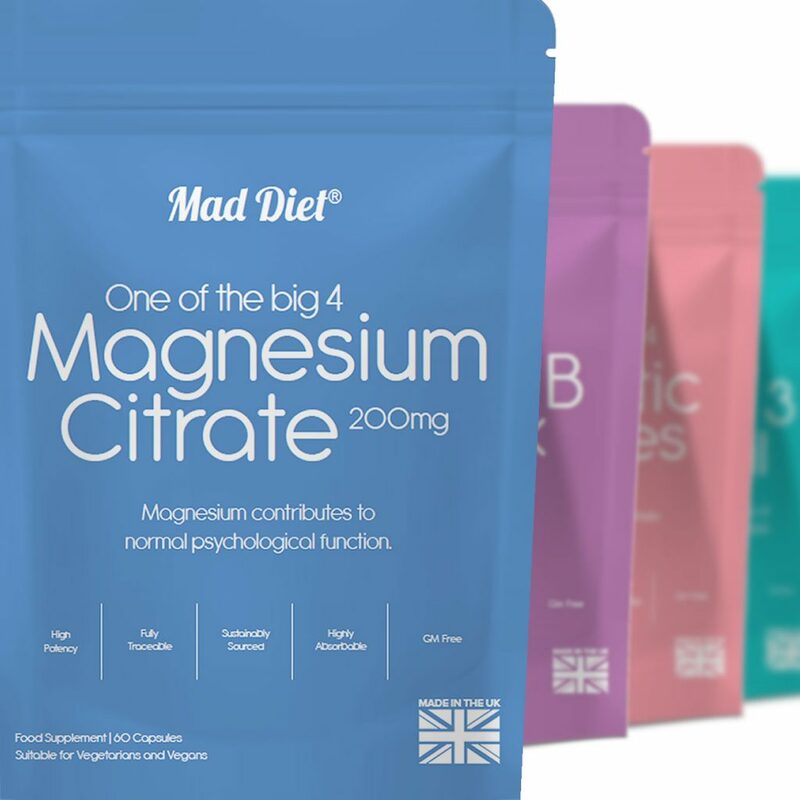 Ingredients: choline bitartrate, inositol, PABA, pyridoxine hydrochloride, d-calcium pantothenate, thiamine hydrochloride, riboflavin, nicotinamide, folic acid, methylcobalamin, biotin, silicon dioxide, microcrystalline cellulose, hydroxypropylmethylcellulose.